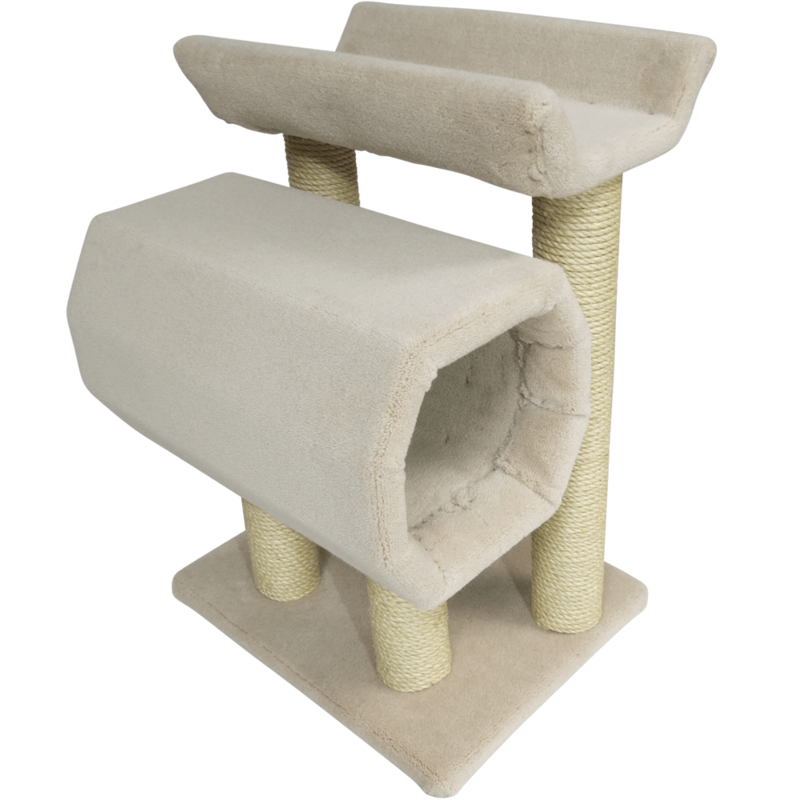 Very playful cats, or cats who can be a bit shy and need a place to hide away, will love the barrel on this model. It creates a great place to hide in wait for your prey, or to just get out of the way for a while. 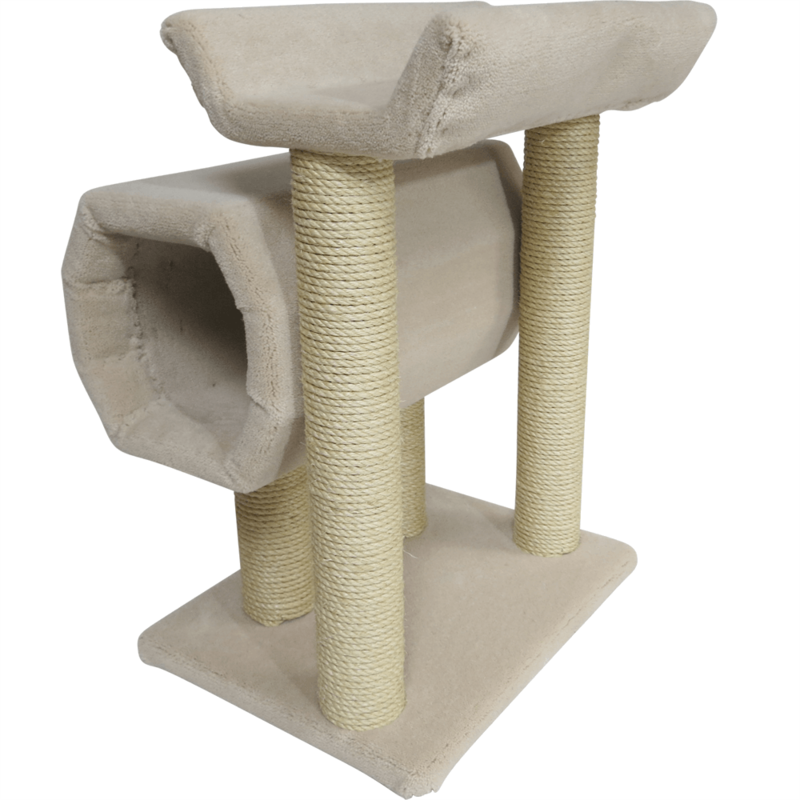 As well as having a comfy pagoda for snoozes and grooming. 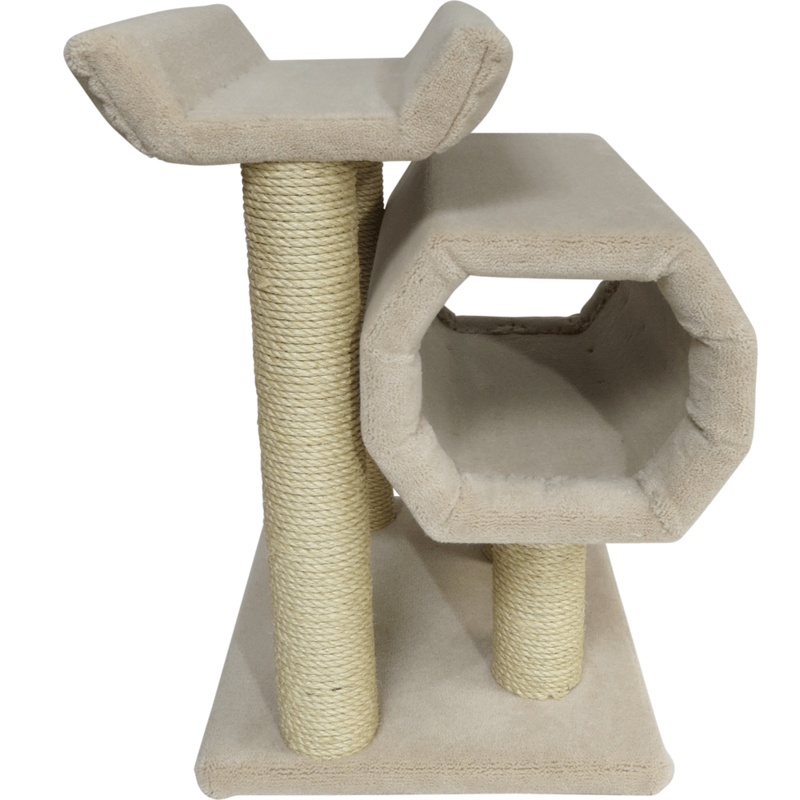 This model will entertain lots of different cat personalities. This model includes, a carpeted 20 inch by 12 inch wooden barrel, a 20 inch long carpeted wooden pagoda bed, four 3 inch diameter, solid timber, sisal wrapped posts. Two measuring 24 inches and two measuring 10 inches. 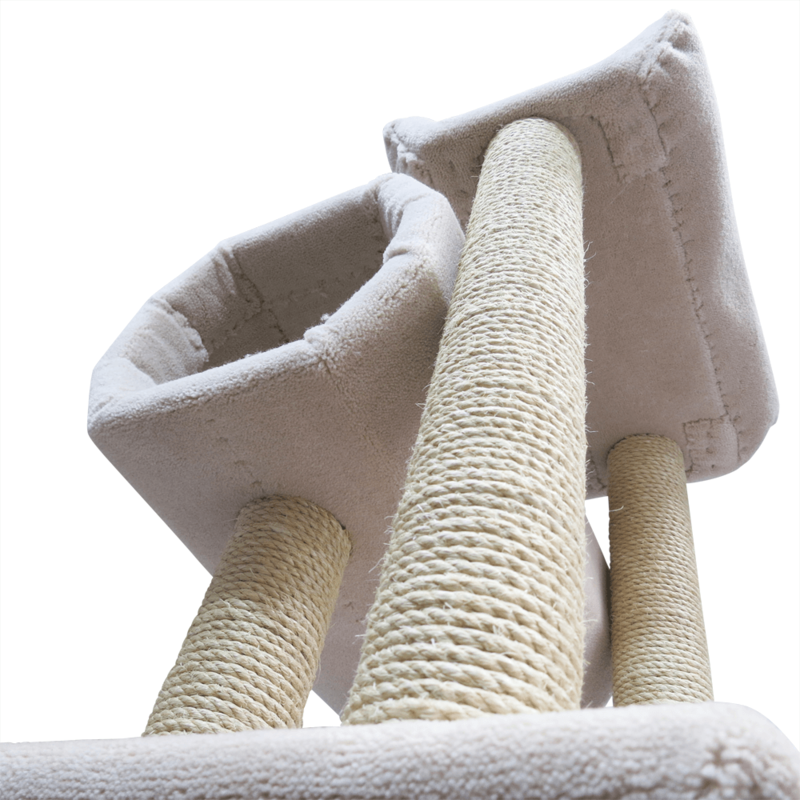 The height of the posts on this product can be changed to suit your requirements. Please get in touch with us to discuss your requirements.